Safe Streets in Baltimore trains ex-felons to prevent crime in the city’s most violent neighborhoods. Most men who grow up in Park Heights expect to be locked up—or dead—by the time they turn 25. “We’re the last from our generation that are alive or free,” says Stanley Dennis, 32, referring to himself and his friend Aaron Fennell, who both grew up in the northwest Baltimore neighborhood. The two men once sold dope on the street corners like many of their friends. Dennis went to prison twice for selling heroin. 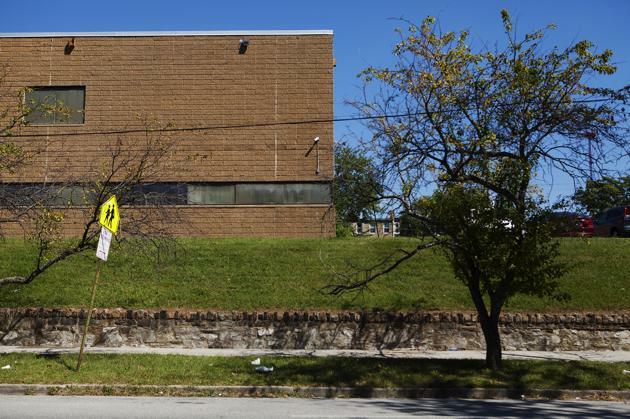 Back then, Park Heights was among the most violent, crime-ridden blocks in the city. Dennis says he often heard gunshots from the row house where he grew up with his mother and five sisters. 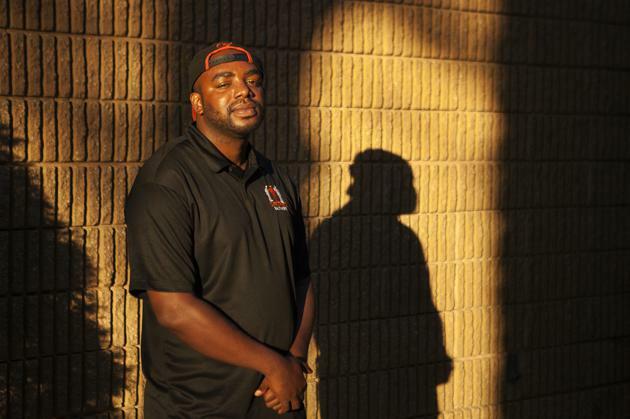 Now Dennis spends his days (and nights) trying to stop the violence that has plagued his neighborhood for years. He says he doesn’t want his nephews to end up dead. 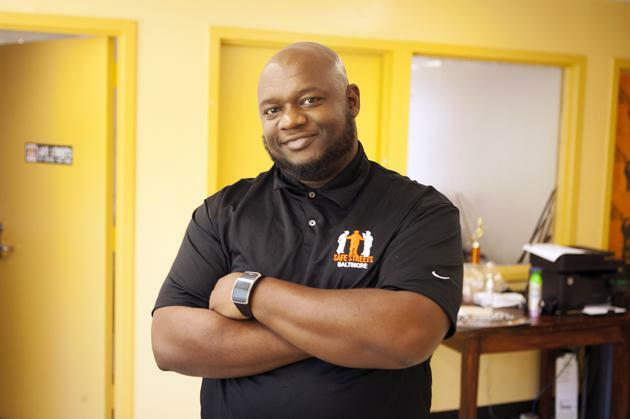 As violence interrupters for Safe Streets, Dennis and Fennell prevent fights that may lead to gun violence. Wearing their orange and black Safe Streets T-shirts, they hang out with drug dealers and talk to people on street corners. If a dope dealer’s stash is stolen, for example, Dennis or one of the other “violence interrupters” will hear about it. Then he will find out who stole the drugs and will negotiate a solution so no one gets hurt. Because they are felons who served prison time without snitching on others, people trust them. Safe Streets is part of Cure Violence, an international program that was launched in Chicago in 2000. The model, started by an epidemiologist from the University of Chicago, is based on the idea that violence is like a contagious disease that should be treated as an epidemic. In Baltimore and other cities, addressing violence is a necessary component to preventing the deaths of black residents. In the United States, homicide is the leading cause of death for black men under 35, according to the Centers for Disease Control and Prevention. “An exposure to violence, especially in young adults, also puts them at great risk of depression and anxiety disorders, reproductive health issues, diabetes,” said James Mercy, director of the division of violence prevention at the CDC. 1) Interrupt transmission of the disease (mediate conflict). 2) Reduce the risk of the most at-risk people (reach out to the most violent offenders). 3) Change community norms (provide job training and GED classes). The kind of violence Dennis and Fennell experienced in Park Heights is passed on from one generation to another, says James Timpson, who also grew up in West Baltimore and now serves as the liaison officer between Safe Streets and the City of Baltimore Health Department. Next year, Timpson will expand Safe Streets to Baltimore’s Sandtown-Winchester neighborhood, where riots erupted after Freddie Gray died in police custody. Sandtown-Winchester is only a few blocks away from Park Heights, which is one of four neighborhoods in the city running the program. Last year, its violence interrupters mediated 114 disputes that would likely have ended with gunfire or stabbings, says Timpson. Park Heights recently experienced 423 days without a homicide—a record for the neighborhood. The two-square-mile neighborhood was once a thriving, middle-class community that began to decline in the 1960s, when “white flight” to the suburbs started plaguing urban areas across the country. Now the median household income is below $7,000, and less than a third of adults here have a high school diploma. About 2,000 homes here are abandoned. The city of Baltimore had identified Park Heights as one of its most violent neighborhoods when it launched Safe Streets there in early 2013. The first Safe Streets operation was created in the McElderry Park neighborhood in East Baltimore in June 2007. No homicides were recorded during the first 22 months of the program in McElderry Park (five would have been normal during that time), according to a 2012 evaluation of the Safe Streets program by the Johns Hopkins Bloomberg School of Public Health. The study found that three of the four neighborhoods evaluated saw large, statistically significant, program-related reductions in homicides or nonfatal shootings. The Safe Streets staff also host community events, such as basketball games, and connect young people to free job training and GED classes. Yet the program has faced some public criticism for its unorthodox approach and its policy of not communicating with police. A columnist for the conservative website PJ Tatler ridiculed the idea of hiring criminals to reduce crime in Baltimore. “Alas, we are reaching the point in this country where such delusional thinking is a luxury we can’t afford,” Michael Walsh wrote in July, following the suspension of the McElderry Park Safe Streets program this summer. The site was temporarily closed after police arrested two Safe Streets workers in connection to a stash of guns, heroin, and cocaine found in the program’s office. The employees were fired and the program has since been reinstated. Timpson admits it can sometimes be challenging to put reformed felons to work in such a dangerous environment. But those who cross the line are a minority, he says, and most truly care about turning around their communities. “You’re sending [felons] back into the jungle. They need the support so they don’t go back to that lifestyle,” says Timpson.